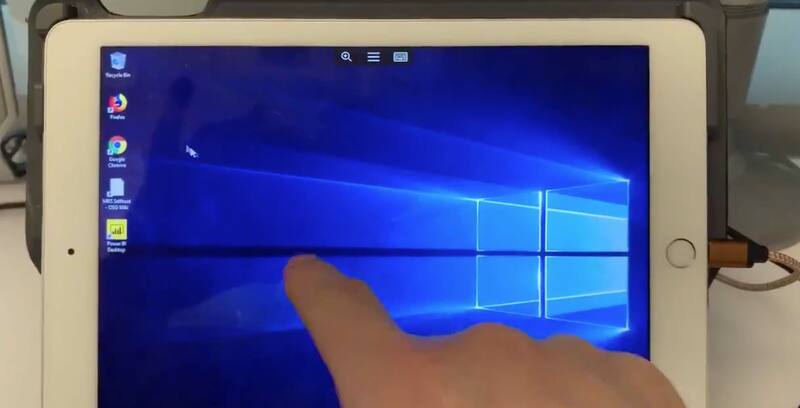 Microsoft is working on a remote desktop app that allows users to access their Windows 10 PC from an iPad with an internet connection. The app runs off of the Azure-based Windows Virtual Desktop software that was released last year. Scott Manchester, the group manager for Microsoft’s remote desktop service, tweeted out a video of the app running on an iPad. Users can control the mouse on the screen with touch controls as well as a Bluetooth mouse. Only the SwiftPoint GT works with the app so far, but Microsoft is going to add support for its Bluetooth mice in the future, according to MSPoweruser. Manchester is also using a Bluetooth keyboard in the video, and it seems like there are no restrictions on them since iPads already support them. Overall, this is a cool app, and it could be a lifesaver for users who have a desktop PC and an iPad.